For most people, occasionally feeling cold is a fact of life and we’re taught to grin, bear and deal with it. 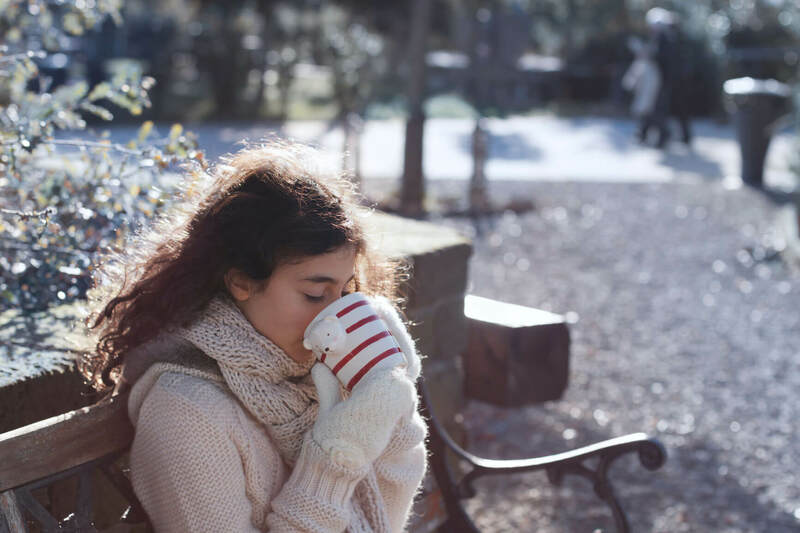 The odd shiver is a natural response to our surroundings that we manage —by adding an extra layer, digging for woolly socks, switching the heater on — and think little of. However, for some individuals, a winter’s day can be more than a passing shiver and a source of discomfort in their hands and feet. This is Raynaud’s phenomenon — a condition that is rarely spoken of but commonly experienced, and easily overlooked. Around 5% of the population is estimated to have Raynaud’s, with women and girls under the age of 25 most commonly affected. In total, it’s estimated that 20% of women will experience Raynaud’s at some point in their life. The key question is, how do you know where to draw the line between feeling cold and Raynaud’s? And more importantly, can it be treated? Read on to find out. Raynaud’s phenomenon, also known as Raynaud’s, is caused by a temporary disruption of blood flow to a person’s extremities, usually their fingers or toes. Instead of carrying blood to these areas, small blood vessels constrict in the extremities and blood flow is redirected to other parts of the body. This response is usually triggered by cold temperatures or stress. The result can lead to these areas of the body feeling numb and cool in response- and sometimes changing colour to either blue or white. Primary Raynaud’s: This is when there is no clear underlying cause and a person only shows mild symptoms. Secondary Raynaud’s: This is generally more complex and serious than primary Raynauds. The most common cause is when there is an underlying autoimmune condition or a personal behaviour, such as smoking, that is identified as a contributor to the phenomenon. This includes conditions such as rheumatoid arthritis, scleroderma, and lupus. It’s usually not hard to diagnose Raynaud’s, but sometimes it’s tricky to tell whether it’s the primary or secondary form of the disorder. That’s where your GP can help; they will undertake a medical history, assessing your symptoms and if appropriate, carry out blood tests or a look at your fingernail tissue to make a formal diagnosis. MORE: Is arthritis affecting your mental health? For most people, primary Raynaud’s phenomenon is an annoyance rather than a disabling condition. It’s a condition that is often not medicated but managed with lifestyle habits and preemptive tricks. You can find more of these below. Secondary Raynaud’s tends to pose larger questions about a person’s overall health and whether an underlying illness should be treated (such as rheumatoid arthritis or lupus). In severe cases, to prevent tissue damage you may be prescribed medication that work to open up or dilate the blood vessels so the blood circulates more freely. Go extra on the extremities: Hands and feet are most likely to be the source of your discomfort so invest in warm gloves and woolen socks. Avoid the cold: Try limit prolonged exposure to cold weather or sudden temperature changes. If you know you’ll be outside for a long period on a cold day, be prepared by wearing extra layers. Eliminate cigarettes & coffee: Don’t smoke cigarettes or drink caffeinated beverages, as nicotine and caffeine constrict blood vessels. If you’re struggling to quit smoking visit QuitNow. Recognise your triggers: Keep a journal detailing when episodes occur. This will help you identify any patterns in what triggers a response and how you can better manage or avoid these situations. Stay active: Exercise regularly to maintain good blood circulation and steady energy levels. Physical exercise also comes with innumerable benefits to your overall health. If you do experience a Raynaud’s attack, and your hands and feet turn numb, it’s a good idea to put them under lukewarm water (not hot) and massage them. This will help to heat them up and aid blood flow back into the affected areas. If you do experience symptoms of Raynaud’s then it’s recommended you discuss them with your GP.